SanPellegrino have launched a locally targeted, weather-triggered, dynamic out-of-home campaign to bring the picture perfect Italian lifestyle to high streets across the United Kingdom. Deployed by location marketing specialist Posterscope and media agency Zenith, the campaign for SanPellegrino’s sparkling fruit beverages uses real time data feeds to dynamically deliver relevant creative executions based on weather temperature, location and time of day. The campaign portrays “The Life Deliziosa’, SanPellegrino’s manifesto to live surrounded by beauty, under a warm sun and the wonderful Italian setting. When the temperature falls or clouds appear, Posterscope’s Liveposter platform serves creative executions featuring the current temperature in SanPellegrino’s home town of Sicily and encourages viewers to imagine themselves in Italy. When the sun shines and temperatures rise, the messaging encourages people to soak up the sun in their specific location. 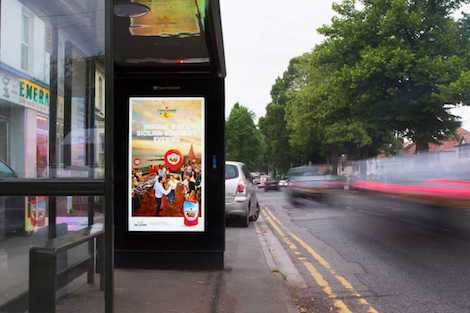 The campaign appears on Adshel Live and large format iconic digital sites in key UK cities until the end of July. This entry was posted on Wednesday, July 12th, 2017 at 08:12 @383 and is filed under Scuttlebut. You can follow any responses to this entry through the RSS 2.0 feed. You can leave a response, or trackback from your own site.